If you’re thinking of becoming a volunteer, enjoy meeting people and can spare an hour or more a week then we would love to hear from you. Hambleton Community Action have numerous volunteer opportunities available. All our volunteers are offered training and support in their roles, and travel expenses are reimbursed. Volunteering can be flexible,depending on your interest, time and skills. Shopping Angels support people to do their shopping by using their vehicles to offer transport to and from the shops and provide help around the shop, reading labels, packing etc. Community Visiting volunteers support people who feel socially isolated by visiting them in their own homes. Visiting times are flexible. Carers Respite Sitting volunteers give carers a break by sitting with the person being cared for. Volunteers usually visit once a week, at a time convenient for the carer and volunteer, for 2-3 hours. Our office volunteers are offered a variety of tasks to suit their interests. Some enjoy reception duties, others choose to answer the telephone, photocopy, type letters or undertake fundraising activities. Busy Buddies is a ‘supported volunteering’ project, helping people with low-level support needs to volunteer. Get in touch if you need support to volunteer or, if you fancy offering your support as a ‘buddy’ volunteer accompanying someone. Please take a look our volunteer opportunities listed and if they are of interest, please email admin@hambletoncommunityaction.org, call 01609 780458, pop in to see us at Ground Floor Office,159/160 High Street, Northallerton, DL7 8JZ or complete and return the Volunteer Application Form to register with us. 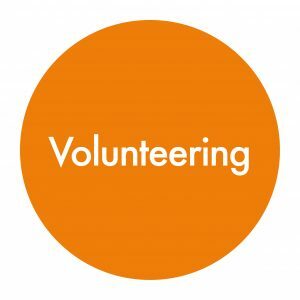 For opportunities outside of our charity, we encourage local charities and community groups to advertise their volunteer roles on the national volunteering database Do-it.org where you can find further information on a vast number of other volunteering opportunities in the Hambleton area.